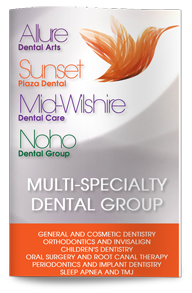 Our West Hollywood cosmetic dentist offers a full range of cosmetic dentistry services for improving the aesthetics of your smile. Orthodontic treatment is one option you have to not just improve your smile but also enhance your oral health. Although metal braces have long dominated the field of orthodontics, today you have another option: Invisalign clear plastic aligners. Dr. Ghasri, our West Hollywood Invisalign provider, can use Invisalign aligners to gradually, gently bring your teeth back into healthy alignment. Invisalign uses a set of virtually invisible aligners that are custom made for each patient’s mouth, and they can be replaced on a regular schedule in order to achieve the desired results. Dr. Ghasri, our specialist in Invisalign in West Hollywood, will take a mold of your mouth that will allow the lab to create a set of aligners and a customized treatment plan just for you. The Invisalign aligners will match your teeth in their current alignment, and then each subsequent tray will slowly and carefully begin to move your teeth into a healthier alignment. 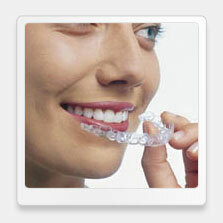 The aligners are made of a clear plastic, which makes them incredibly discreet and easy to wear. This is a popular feature for many teens and adults who dislike the more obvious metal braces. Invisalign aligners are removable as well, allowing patients to more easily clean their teeth after meals and before bed. While Invisalign aligners are a revolutionary alternative to traditional metal braces, they may not be appropriate for every patient or every situation. Those with extensive bridgework, dental veneers, teeth that are torqued, or teeth that are severely misaligned may not have optimal results or may require a different treatment plan. Our West Hollywood Invisalign specialist can help you determine if you may be a candidate for Invisalign. Dr. Ghasri has helped many patients achieve the smiles of their dreams through Invisalign and is an Invisalign Preferred Providers. Contact our specialist in Invisalign in West Hollywood today to learn more about your options for orthodontics or to schedule your appointment. Visit Invisalign.com to learn more about invisalign aligners.